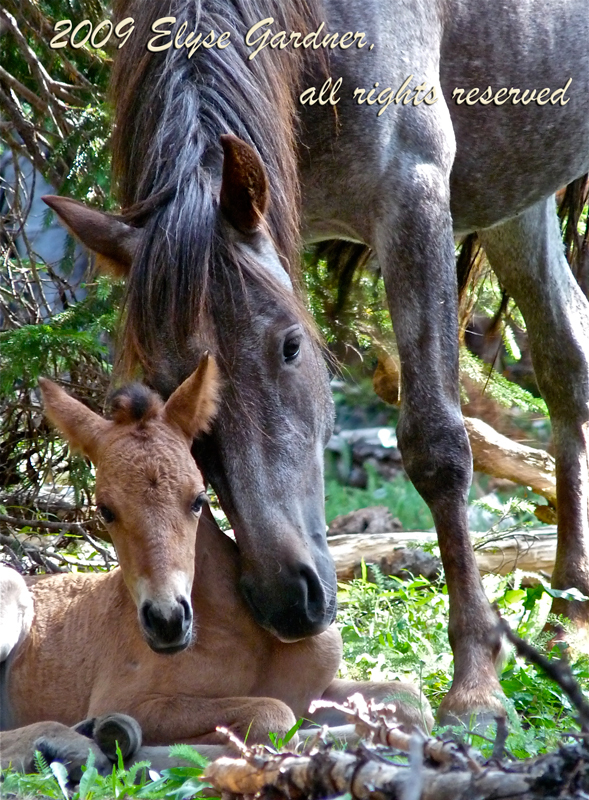 WHAT HAPPENED TO 1700 CAPTURED WILD HORSES? These stunning horses from Nevada’s Calico Complex roundup deeply touched me. It was so cold the day I shot this photo, about 18F degrees, as high on the slope with our silhouettes hidden in the rocks we waited for the sound of the helicopter, which would signify wild horses running their last run in freedom, headed for the trap 120 yards or so below me. When they finally appeared, it was obvious they were tired as they followed the vigorous Judas horse sprinting his 75 yards into the trap pen. They were a small band, just the four of them, swooshing back and forth together as one body, clearly frightened and knowing they were trapped. Have my worst fears for them come to pass? Have their worst fears come to pass? 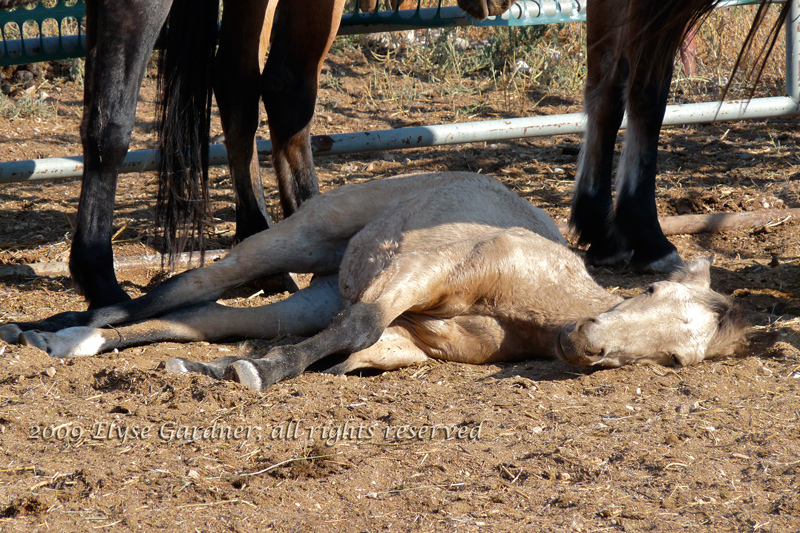 Here we are in the third month of 2014, and still the Government Accountability Office, who promised a report by 2013 year end, has issued no report, nor has it identified the BLM personnel responsible for the egregious and blatant betrayal of public trust the BLM committed when it repeatedly sold truckloads of adult wild horses, totaling 1700 animals within three years, to one man known to favor horse slaughter, a man who makes most of his living transporting truckloads of large animals. So where did he bring the horses? Tom Davis, the man I am describing, has yet to be held accountable. Even more disturbing to me, the Bureau of Land Management personnel responsible for repeatedly selling Mr. Davis our wild horses — which may very well include our frightened friends above — has yet to answer for her crimes against these animals. I know the woman who signed the papers and I asked her point blank: “How could you do it?” She said she didn’t suspect anything. I cannot believe her. She isn’t stupid. She isn’t blind. The Government Accountability Office (“GAO”) had promised to have a report done by year’s end in 2013. The silence is deafening. For two decades many have known that somethings smells funny about the Bureau of Land Management ‘s “long-term holding” aspect of the wild horse program, and the foul odor isn’t coming from the horses. A family band consists of a stallion, his mares, and their offspring. After the colts reach two years old, they are subject to being ejected from the band by the ever protective stallion, who is the epitome of macho and the source of the term “stud”— who is always defending his mares from theft by other band stallions or from bachelor studs trying to start their own bands. Meet Bolder and family, grazing atop the mountains a week before 2009 Pryor Mountain Roundup.Mildly curious, his buckskin daughter, Jewel, watches me photographing her family. As is the custom of foals, Jewel stays very close to her mother, aunts, and father, the handsome smokey palomino named Bolder, Cloud’s son. The Pryor Mountain wild horse herd of currently around 169 horses is the only remaining wild horse herd in the state of Montana. 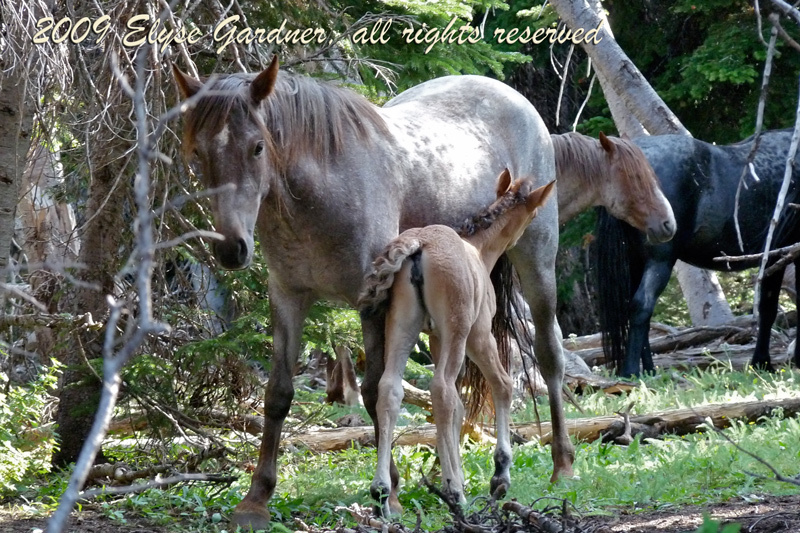 These horses live atop the Pryor Mountains in the summer. 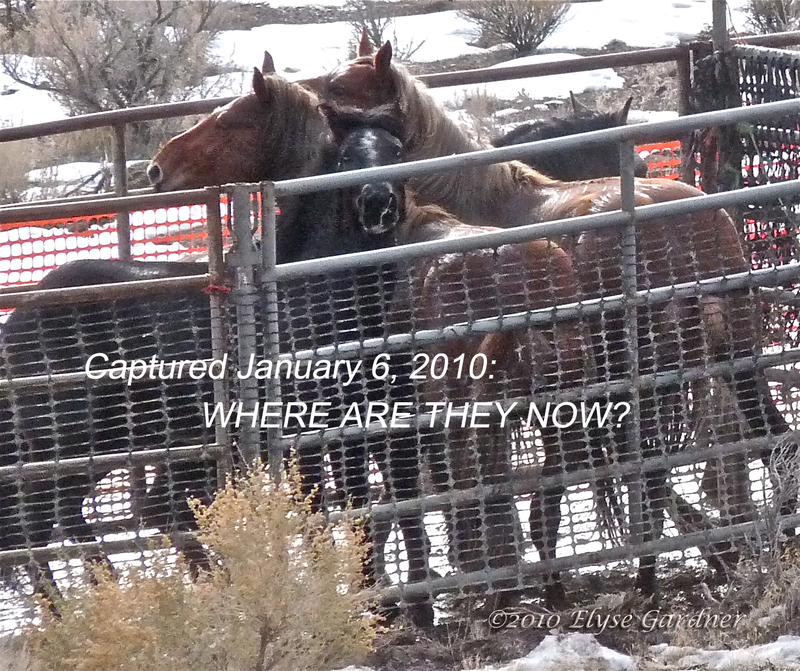 In September 2009, the Bureau of Land Management (BLM) scheduled Cattoor Livestock Roundups, who specializes in capturing wild horses by chasing them into a pen with a helicopter, to come catch all the Prior Mountain wild horses in order to remove them down to 120 horses. There were around 190 horses at the time: beautiful, healthy horses, as you can see. Their other purpose for the capture was to treat all the mares over one year old with an infertility drug called PZP The herd lives on a 40,000-acre wild horse range. BLM wanted to remove the horses down to only 90 − 120 animals, ignoring Dr. Gus Cothrans, their consulting expert equine geneticist, who has repeatedly cautioned BLM that 150 adult reproduction-capable animals is the “rock bottom” number needed to ensure healthy, genetically sound future generations. The run down the mountain was 10.8 miles as the crow files, but horses aren’t crows. Horses zig-zag to try evading the helicopter, so these animals ran 13 − 20 miles. There is no legal limit as to how far the helicopter can stampede the horses, and that is something wild horse advocates are working hard to change so that people can be held accountable to truly humane standards which do not change depending on who is in charge that day. Several family bands are driven into the trap pen. The bands must be separated quickly into separate pens, or the stallions will fight over the mares. We were positioned by BLM and roundup staff, hidden behind jute fabric like you see in the photo above, so we could only see the final moments of the chase, with the helicopter coming in very close to the horses to pressure them into the trap. They will follow the “Judas horse,” so named because he is a domestic horse trained to gallop hard and fast into the trap, thereby leading the frightened wild horses who are falsely encouraged to run, upon seeing a fellow horse galloping confidently forward, right into the trap. Little Jewel sleeps in the pen surrounded by her protective band. Remember lovely little Adelina and her young momma, Halcyon, from my first post? They were not rounded up, were spared the long, hot run many miles down into the pens. What a relief! A baby horse’s hooves are not yet hard enough to withstand much of anything. In the only roundup of its kind, the stallion, Bolder, is permitted to stay with his band. In all other BLM roundups, stallions are separated from mares in the trap pen. If they are to be returned to the wild, they are returned separately — mares with mares, and studs with studs — and, unbelievably, the stallion has to go about rebuilding his family, fighting off other studs to do so. This causes extreme social chaos, and the National Academy of Sciences Study of the Wild Horse and Burro Program recently found this to be one many ills plaguing this program. Here, the horses are exhausted but calm; they are together in their family. The blue dots mean they are the fortunate ones who will be returned to the range; the pilot can see the dot and will not attempt to recapture them if they are still capturing horses when Bolder’s band is released. After running for over an hour a minimum of 12 miles down the mountain, descending 5,000 on rocky terrain while keeping pace with the adults, an exhausted Jewel gets restorative sleep safely surrounded by her family. However, these little foals in the video weren’t as fortunate. The smallest one was supposed to be released with her mother, but her injuries were too pronounced, and she was kept in captivity to be treated. Next time we will see the horses released and see what a noble wild stallion does when a family member is taken and he is set free. I hope this wasn’t too much information for you. Please let me know your thoughts. Thank you for coming along to share my Wild Horse Times!